The expansion of social media and mobile has reached at a stage where they both are intersecting each other, signaling a very positive sign for marketing purposes. According to a recent study socially active users on mobile phones which were 650 million at the end of 2011 will reach staggering figure of 1.2 billion by 2016. So from a marketing perspective there is lot that can be done in order make the best use of this golden opportunity. The first important caution to achieve this very important socio-marketing objective is developing a bridge and dialogue between the audience and brand by being socially very correct and appropriate. 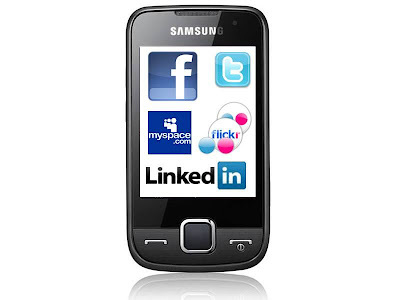 Content for the social-mobile space should be conversion driven. It should be short and very precise to fit on mobile versions of Twitter and Facebook. Next number is of maximizing the mobile initiatives by including voice, SMS, cameras and location-based features in a mobile wherever they are required best for the need. The content should be helpful in making prompt and quick decision as a person is in store with credit card and just looking for the valuable information. Your social media presence should be felt in mobile behavior. Social networking is about consumers and brand whereas mobile is timeliness and location prone. So the mobile device communication should be strong enough to develop long lasting relationships. The campaigns should speak about geography and promptness and could develop conversation about the brand. Finally, it should be a holistic approach where customer must be preferred social media on mobile devices.